Ross Harvison is the President of the Intuitivum Group and Managing Partner of the firm's Supply Chain and Operations Practice. He works with executives in small to mid-capital companies to assist their efforts to prioritize business needs, build strategies, and execute transformation programs. He has more than 30 years’ experience in commercial, engineering and manufacturing environments in the energy, refining and petrochemicals industries. He specializes in Operations and Supply Chain Transformation, Multi-National Organization Change Management, and Human Capital Development. 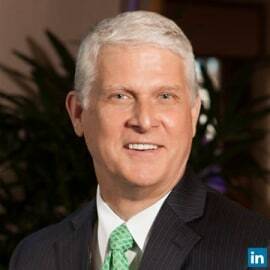 Ross is a Past President of the Houston affiliate of the Institute for Supply Management® and the chair of the organization’s Business Survey Committee. He received his B.S. degree in Chemical Engineering from the University of Arizona and is a Villanova trained Lean Six Sigma Black Belt.